This Quadcopter Frame is the advanced version of Martian-II reptile Quadcopter Frame. It keeps everything that has made the Martian-I Quadcopter frame successful. The MARTIAN-II REPTILE Quadcopter Frame is a mini-size quadcopter frame. 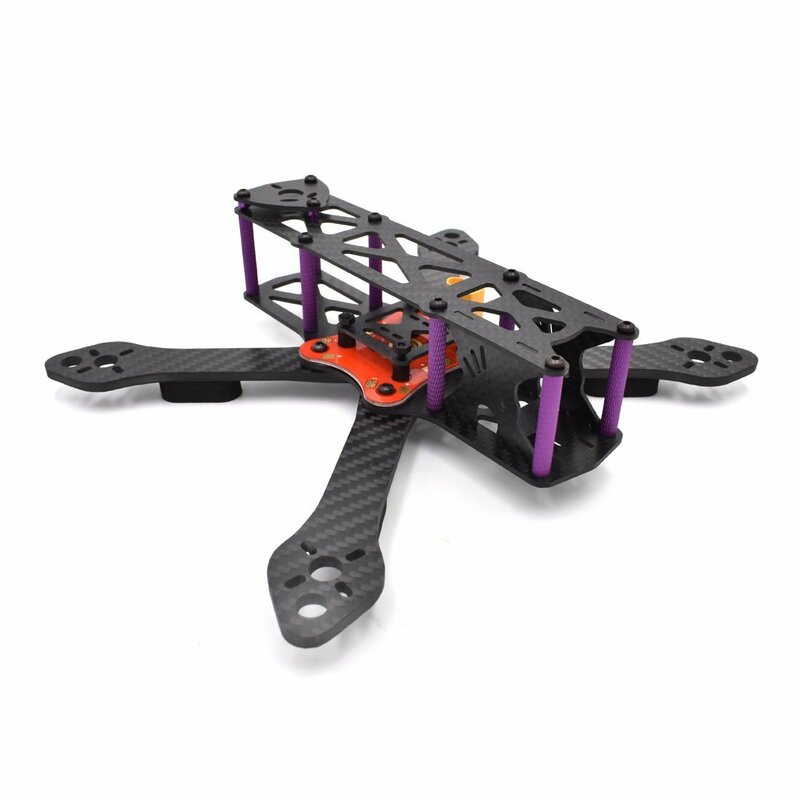 The MARTIAN-2 REPTILE 220mm Quadcopter Frame is manufactured with the excellent quality 3K Carbon Fiber. Also the arms of this frame are shorter than the previous one. In comparison between the Martian-I, Martian-II, and Martian-III it is found that the carbon fiber of the Martian-II frame is of the highest quality hence they are costlier in the class of Martian Quadcopter Frames. This MARTIAN-II REPTILE 220mm Quadcopter Frame is made from Carbon Fiber which makes it tough and durable. They have carbon fiber arms of thickness 4mm which ensure no more arm breakage at the motor mounts on a hard landing. The arms equip dampers at the end, which protects motors during the crash. The frame enables quick swapping of arms in race pit settings. It comes with PDB(Power Distribution Board) and XT60 male connector to power up the Quadcopter. And is also designed to fit standard flight controllers/PDB, FPV cameras and also FPV transmitters and antenna. The assembly is done with Black Oxide steel screws which are included in the pack. The frame is lightweight and possesses thick arms, so as to give them good mechanical strength. The mini-size design of this quadcopter frame makes it aerodynamically efficient which will require lower throttle to hover. The frame has the wheelbase of 220mm and weighs around 140gm. This frame supports 37mm board cams as well as 26mm cams in cases with mounting bracket. The MARTIAN-II REPTILE Quadcopter Frame equips anodized alloy spacers. The arms of this carbon fiber frame feature multiple motor mounting holes so as to fit a variety of motors. Martian-II Quadcopter frame is available in two different wheelbase sizes as 220mm and 250mm.